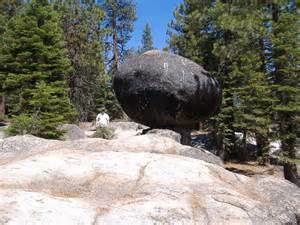 The Sierra Vista Scenic Byway, a 100 mile journey through an area of the Sierra National Forest often referred to as a “secret Yosemite” has opened. The seasonal road is maintained by the National Forest Service, and opens once all the snow has melted from the upper elevations and any necessary cleanup has been completed. 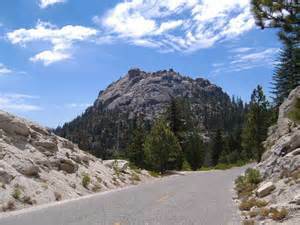 “The Byway has sweeping panoramic vistas of the Sierra Nevada’s granite peaks, it boasts lush meadows with a large array of plant and animal life, unique rock formations, historical attractions, it really is an amazing journey,” said Lyman. Popular stops include Mile High Vista, which overlooks Mammoth Pools and grants unobstructed views of the high country, Globe Rock which is a massive almost spherical boulder perched atop rock pillar as if it were a golf ball belonging to some long lost giant, the Jones Store which sells renowned hamburgers and pies for over 50 years and the Nelder Grove of Giant Sequoia. Guests taking the byway can start in either North Fork, the exact center of California and a popular jumping off point for the Byway, or from Beasore Road in Bass Lake. Maps and other information can be picked up at the Yosemite Sierra Visitors Bureau’s visitor center at 40637 Highway 41 in Oakhurst. For road conditions and other information, contact the National Forest Service at 559-877-2218.